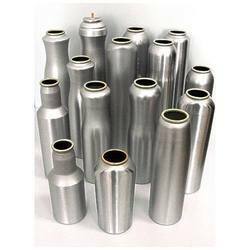 We are offering Aluminium Can to our clients. Our organization is indulged in offering Aluminium Containers (Cans) to our clients. Under the strict guidance of our experts, these containers are made using tested quality aluminum. Available in diverse sizes and specifications, these containers are broadly used to store different products in pharma and cosmetic industries. 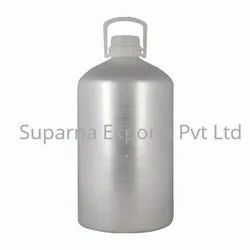 We fabricate and supply comprehensive range of seamless one piece aluminum pesticide cans that cater to various needs in the pharmaceutical and pesticide industry. Being counted as one of the leading manufacturers and suppliers, we offer a quality assured range of Aluminum Stud Cans. These products are used for keeping capacitor cans and others. Moreover, our range is made using quality material which is sourced from the reliable vendors. Coconut Water is packed in Aluminium Cans of 200ml, 250ml, 300ml, 310ml, 330ml, 500ml sizes. Coconut Water can be packed in your own brand name in your own design. Images shown are for illustration purpose only. We are offering Transparent Beverage PET Cans.